Born in Edinburgh, the son of a master baker, Ronnie Corbett embarked on his showbiz career after a stint doing National Service with the RAF - when he was said to have been the shortest commissioned officer in the British forces, at 5 ft 1.5in. He made various minor TV and film appearances in the Fifties, with roles such as 'Young Hooligan' in a 1953 episode of Douglas Fairbanks, Jr Presents - and was for a while the resident comic on children's show Crackerjack. But he really made his mark on the cabaret circuit of the Sixties, where he became a regular at Winston's, Danny La Rue's ultra-fashionable Mayfair nightclub. It was here that he was spotted by David Frost who asked him to appear in satirical show he was putting together, The Frost Report. 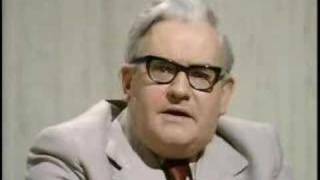 While working on this influential show, he forged his partnership with Ronnie Barker, drawn together becausethey were only two grammar-school boys amid Oxbridge graduates. They famously appeared together in the show's classic 'I know my place’ sketch about the British class structure, alongside John Cleese. The Frost Report only ran from 1966 to 1967, and after that Corbett appeared in several TV shows, often produced by Frost. But in 1971, he and Barker landed the show that made them both stars - reportedly after BBC producers were impressed at the way they ad libbed at a Bafta awards ceremony. The Two Ronnies - which relied on their acting skills rather than them being a traditional straight-man/funnyman double act - ran until 1987, when Barker decided to retire from showbusiness. Outside of The Two Ronnies, Corbett also starred as Timothy Lumsden in the sitcom Sorry!, which ran from 1981 to 1988, and hosted the game show Small Talk, from 1993 to 1996. His career as a comic was revived in 1997, when Ben Elton invited him to reprise his famously rambling Two Ronnies 'chair’ monologues for his BBC show. In December 2004, he guest hosted Have I Got News For You; and the following year reunited with Ronnie Barker for The Two Ronnies Sketchbook, comprising sketches from their original series with new links. In 2006, he appeared as himself in Extras, in a storyline in which he was caught taking drugs at the Bafta Awards. Sorry. 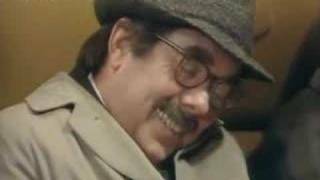 We have no listings of forthcoming performances by Ronnie Corbett. We do not currently hold contact details for Ronnie Corbett's agent. If you are a comic or agent wanting your details to appear on Chortle, click here.